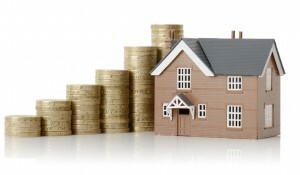 Home improvements boost a property’s value, there’s no doubt about that. However, some improvements, like digging out a new basement or building an extension, are time-consuming and costly. These five ideas will add up to 10 per cent to a property’s value and (with the exception of the loft) are easy and relatively cheap to carry out. The most expensive and time-consuming option here, but it’s got a huge pay-off. A new loft can become a study, a playroom or another bedroom (or two). Essentially you’re adding a new floor and at least 10 per cent to the value of your house. Even if it’s just converting the cupboard under the stairs into a tiny restroom with a toilet and corner sink, you’ll be boosting your asking price by at least five per cent and maybe as much as ten per cent. People expect a second bathroom now, so get grouting and clinch that sale! You might overlook a bare and neglected front lawn, but buyers won’t. A spruced-up front garden is essential for good kerb appeal. If gardening isn’t your forte, do away with grass altogether and install gravel, woodchips or paving. The bigger the garden the more important it is, and done well, this can increase your value by between five and ten per cent. Ratty old window frames and dusty walls are a depressing sight, especially to buyers. You’ll probably not notice how faded or peeling exterior paint is unless it’s pointed out, so just go for it – you can add another five per cent to your asking price. It’s a couple of hours’ work, but it could bump your value up by one per cent. If you’re already painting your masonry, do the front door. Nothing offers a warm welcome like a shiny, fresh front door. Renew or polish any brasswork on it as well, or fix up a new number plate. Easy as pie!